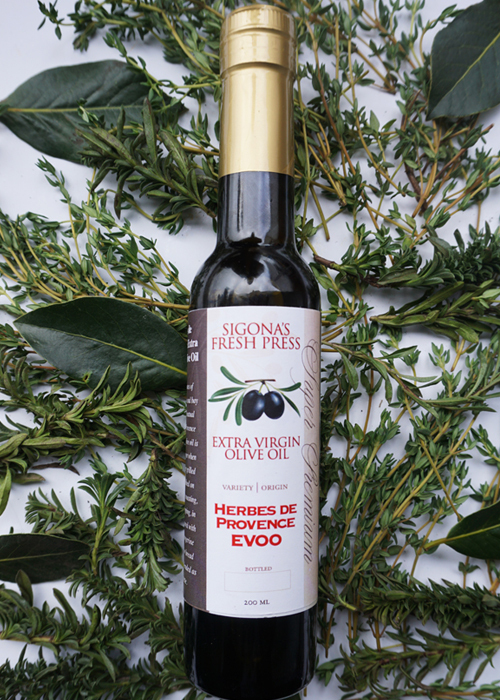 Savory, thyme and bay leaf flavor this Herbes de Provence Olive Oil. It’s lovely drizzled over grilled chicken, rubbed on turkey before roasting or as a bread dipper. Try it paired with our tangerine balsamic for savory-citrus vinaigrette.